Luxury, haute couture and elegance are what comes to mind when someone mentions the name Dior. Synonymous with high fashion, most people don’t know the rich and sometimes sad history behind the brand. The man behind the name was one of the most popular couturiers of the 20th century as his talent re-introduced femininity into the fashion scene of post WWII France and dictated style around Europe and even further. Unfortunately this is where Dior’s luck took a turn for the worse. Following the death of both his brother and mother and a financial blow that forced his father’s company out of business, Dior was forced to close the gallery just a few years after its opening. 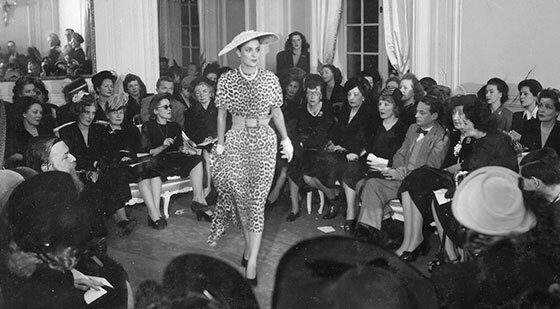 The early 1930’s is when Dior got his first taste of the fashion industry. He used his artistic flair to make a living and began selling fashion sketches. Little did he know that this was the beginning of an empire all owing to his aptitude for designing women’s clothes. People began to notice his talent and Dior moved on to better things. He was hired to work as a design assistant with a fashion designer named Robert Piguet. 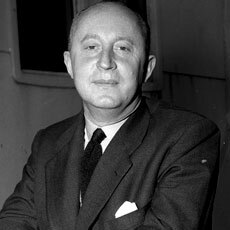 Dior was forced to leave Piguet in 1940 when he was enlisted in the army where he served as an officer. 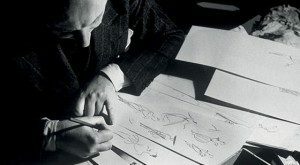 When military service ended in 1942, Dior was able to return to the creative life he loved in Paris where he moved on to even bigger and better things. He was hired by the designer Lucien Lelong to be one of the primary designers. Working with Lelong he spent the remaining years of World War II dressing the wives of Nazi officers and French collaborators. The war took its toll on the country, yet when it was over there were many opportunities for businesses to thrive. One such opportunity came when Dior met with Marcel Boussac or the “King of Cotton” as he was known. 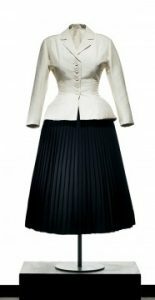 Boussac wanted to invite Dior to become the artistic director and revive his struggling fashion house, Philippe et Gaston. However, Dior had his own vision. Dior met with Boussac and shared his vision with him. 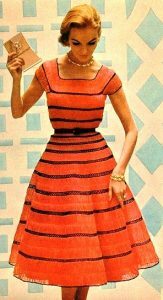 He believed that women were looking for something new and inspiring in fashion now that the war is over. The wartime style of sharp-shouldered suits needed to be replaced with luxurious garments with a cinched in waist and billowing skirts. 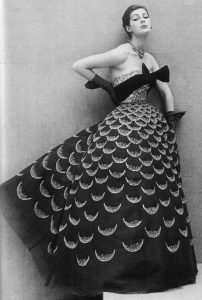 Dior believed in himself and was able to convince Boussac of the same. So, instead of hiring him to work in his existing fashion house, Boussac agreed to finance Dior’s new project. Christian believed that a fresh start was needed for his vision to work – this required new premises, new employees, and a new mentality. With all of this, the House of Dior was founded on December 1946 at 30 avenue Montaigne, a legendary address. 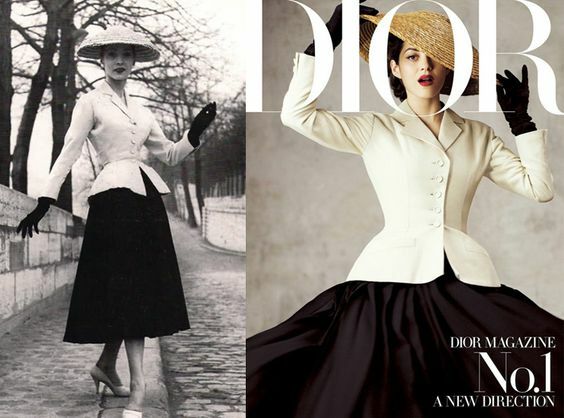 On February 12th 1947, Dior’s debut collection was launched, consisting of 90 different looks. His designs took the French capital by storm and injected the fashion industry with inspiration and excitement, returning Paris to its former reputation as the fashion capital. Designed to enhance the curvaceous figure of a woman, the garments of the collection incorporated corsets to minimise the waist, hips were padded and bosom accentuated. The collection was christened by the press as simply the “New Look” and caught the attention of some of the biggest stars at the time such as, Rita Hayworth and Margot Fonteyn. Even the British royal family invited Dior to stage a private presentation of his collection for them. 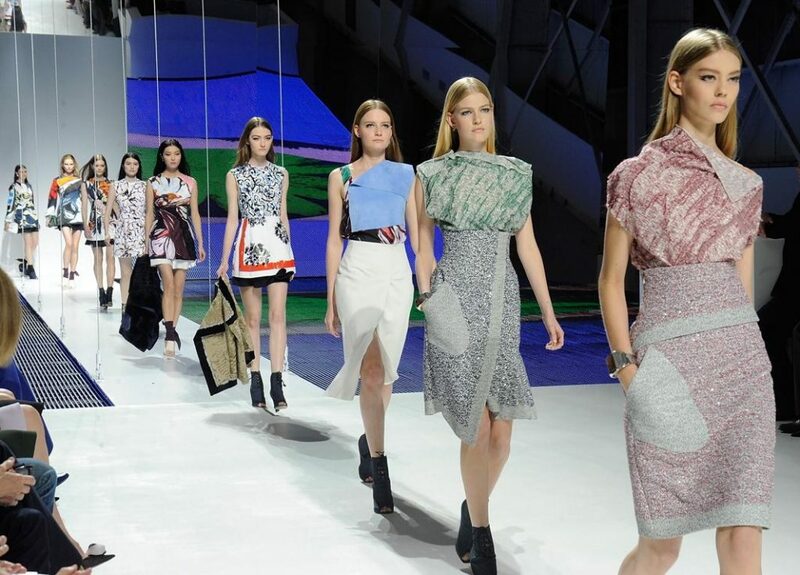 With the phenomenal success that Dior was having, it only made sense to expand. He opened a luxury ready-to-wear fashion house in New York in November 1947, the first of its kind in the luxury fashion industry. Broadening his empire into a new market, in the same year, he launched Dior Parfum. The first fragrance was named Miss Dior after his sister Catherine, who had survived being held in a concentration camp. Dior soon licenced his name to a range of luxury accessories, beginning with ties then moving onto furs, hosiery and handbags. 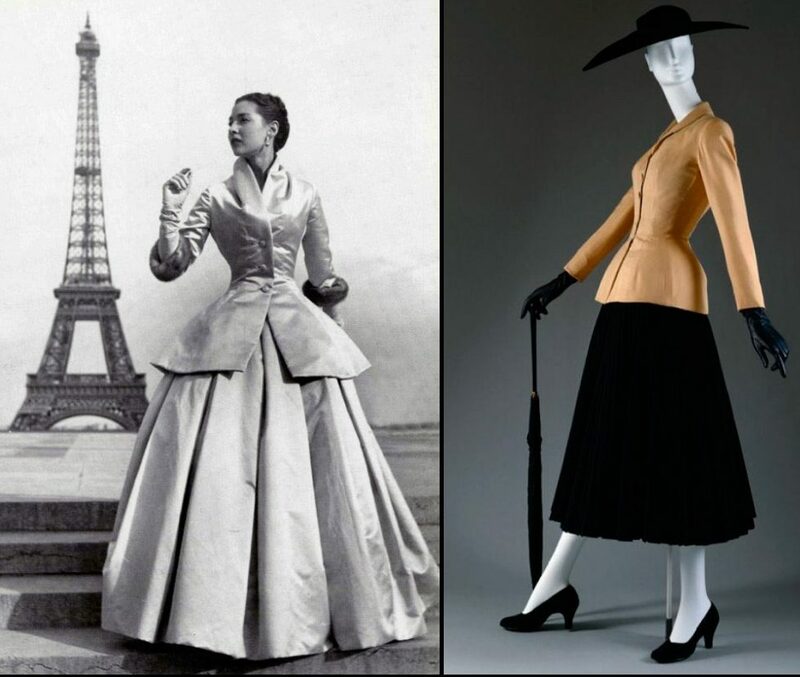 This move was criticised and thought to cheapen haute couture however, due to this venture, Dior’s name quickly made its way around the world. In fact it was such a profitable move for the brand that it wasn’t long before all of the fashion houses followed suit. In the year 1957, the same year as he appeared on the cover of Time magazine, Dior met an untimely death. He was holidaying in Italy when, on October 23rd at the age of 52 he suffered a heart attack and died. 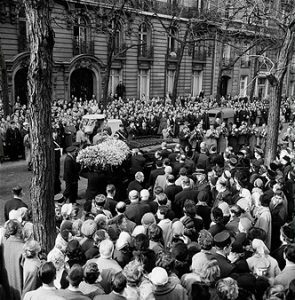 The admiration and respect that the people of France, had for Dior became clear when 2,500 people attended his funeral. Needless to say, after the unexpected death of the founder, the House of Dior was in chaos. Before his passing, Dior had already decided who he wanted to replace him as artistic director. 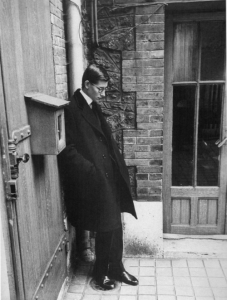 So in an attempt to stabilise the business, the 21 year old Yves Saint-Laurent was given the title. Although he was such a young age Saint-Laurent had been working with Dior as a design assistant and is said to have reminded Dior a lot of himself. The brand today is just as high class and desirable as it was back in 1947, with its designs being worn by the most affluent in society and its runway shows influencing the rest of the fashion world. 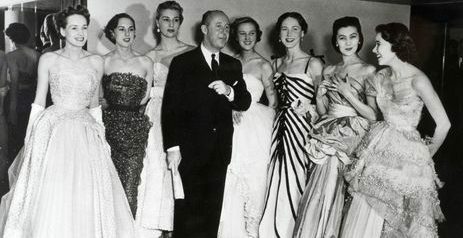 The timing of Dior’s Fashion House had no doubt a lot to do with his success. Post war Europe was craving to be revived and Dior did just that by becoming one of, if not the biggest, post-war couturiers. His unique vision for fashion got him world recognition and his business acumen allowed him to prosper immensely. He designed in his own fashion house for only ten years but his influence still is and will be around for many more.